I had a very unpleasant opportunity to see “men at work” when I visited Little Buffalo State Park on 30 April 2010. The sound of chainsaws filled the air and I wondered if other trees were forced down by stormy weather. 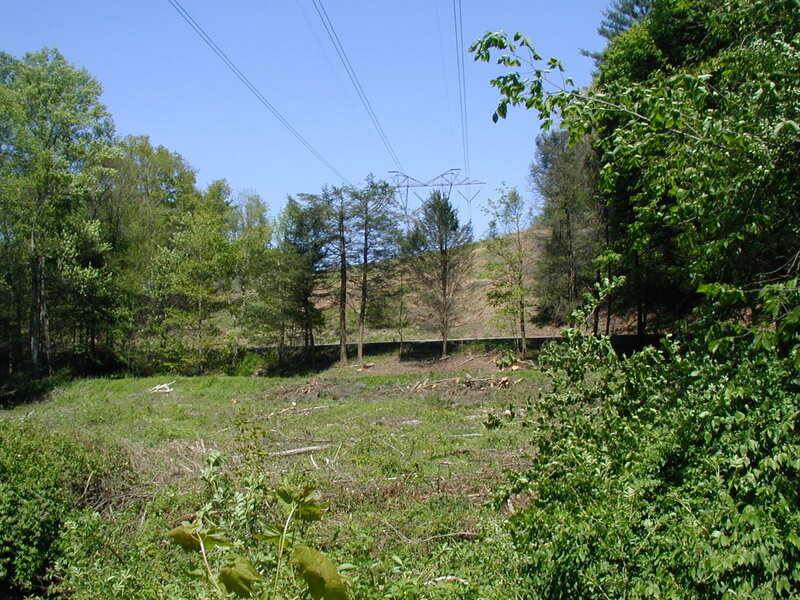 It seems the power company, or whatever outfit they employ, took the day to cut down trees that were growing in the power line zone that crosses the far end of Mill Race Trail. Now, I understand the men had a job to do, that of clearing the area to protect the power lines. What I don’t understand is how they went about their business. 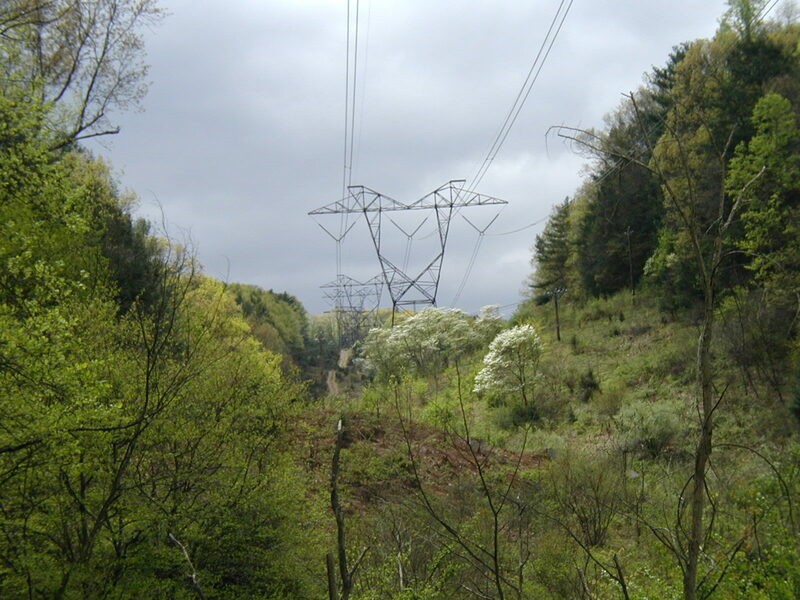 It was very evident to me that they cut down EVERYTHING whether it posed a potential hazard to the precious power lines or not. 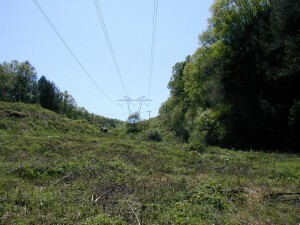 Some of the vegetation they cut down never would have reached a height to bother the extremely high power lines in this area. Why take the time and energy to cut ALL the trees? If someone could have taken a little time to educate these people about the ecosystems and microhabitats they were destroying, perhaps lives could have been saved. Unfortunately all they were paid for was cut first, ask questions later. Looking down the power lines at the far end of Mill Race Trail. Lots of vegetation under the power lines. 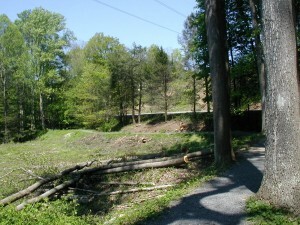 The images above were taken 18 April 2010 on the Mill Race Trail. Note that there is plenty of vegetation in the foreground and on the left side of the meadow. Looking across the meadow at the end of Mill Race Trail. Did all these trees really pose a hazard to the power lines above? Looking back across the power lines. Very small foreground trees were cut to the ground. 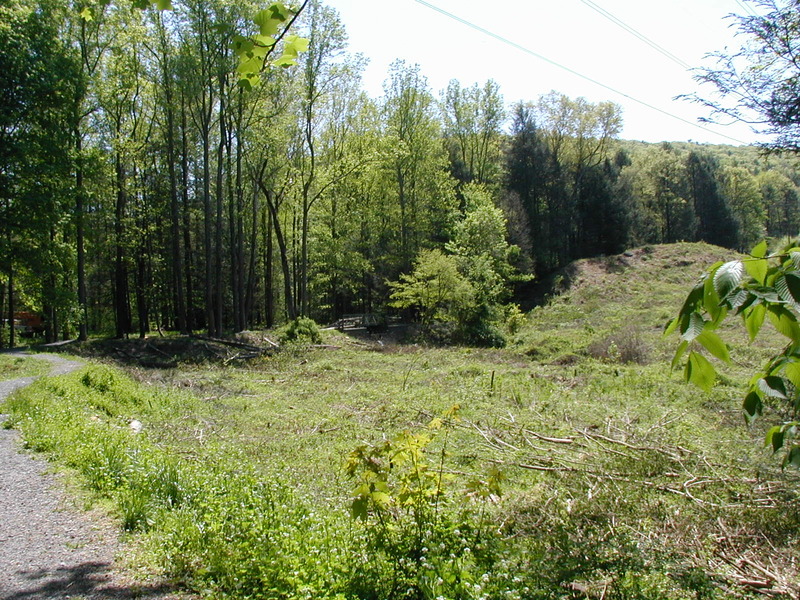 Although the before and after shots were not taken from the same exact locations, looking up the hill you can see that everything was clear cut. So, what habitats were possibly ruined by taking down all the trees in this area? Any plant or living thing that required a cooler environment, as that provided by the trees, may be destined to die or find a new home. Walking from the shade of the trees further up the trail into the bright sunshine of the newly-naked area, there was at least a ten degree increase in air temperature. You could feel the heat coming up from the ground where the sunlight made it to the ground. Any salamanders that lived here will have to move up or down stream, back into wooded areas. 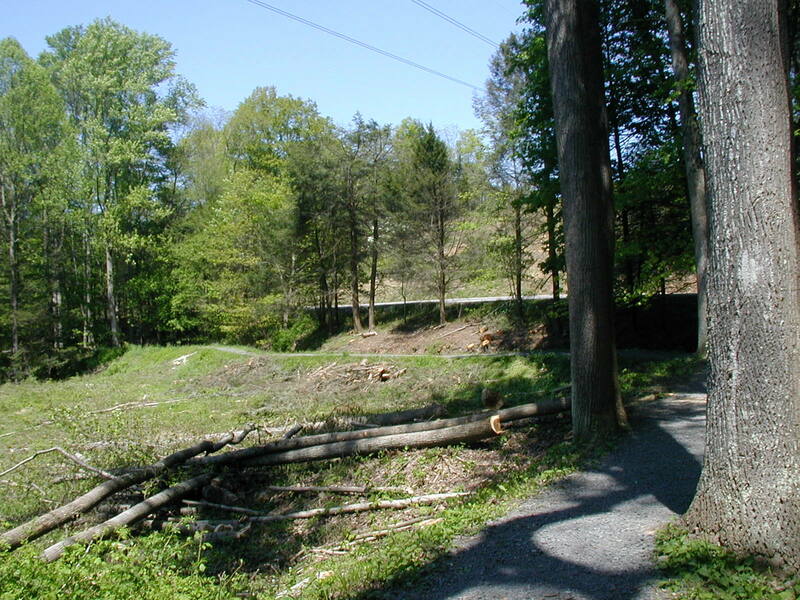 Habitats or microhabitats were disrupted, not only by the loss of shade, but by the debris left to rot where it lay. It’s known that beautifully large hepatica and showy orchis plants live where the saplings of spicebush and others were cut down and left to lay. If the cut wood is left where it is, these beautiful and rare plants won’t return again. Come on people, let’s work smarter! 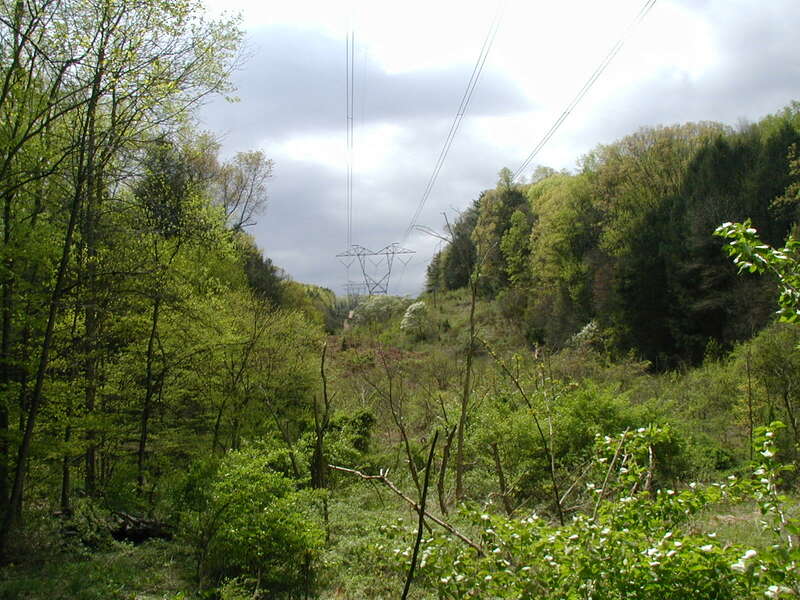 Perhaps the cutting crews can get together with the land managers – especially in areas like State Parks – and find ways to protect both nature and the power lines. All it would take is one biologist to inform which plants don’t need to be cut (because they’ll never get too tall) and where leftover debris may become a hazard to the life forms that the parks are supposed to protect for all our futures.